Do you love roundup posts as much as I do? One of the many reasons why I consider a roundup post as one of the finest and most effective types of content is because you only need to come up with about 20% of the content; the rest is written by the experts you choose. This type of content allows you to stand out from the crowd and get noticed by the industry experts. 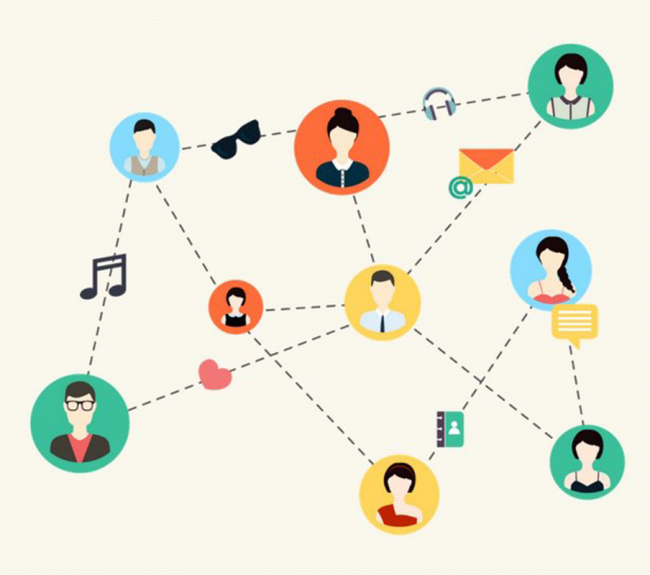 It is also a great ice breaker when you’re beginning to build relationships with influencers. You’ll boost your social engagement. It works especially well for companies that have dormant social media accounts and want to reactivate them. Again, roundups will bring you traffic. Roundups might bring you links. Roundups are pretty easy to deliver and don’t require having a copywriter on your team. Through trial and error, I’ve come to learn that not just any roundup post is destined for great success. There are certain ingredients you need to add to your roundup post to ensure its effective performance, like asking a question your audience cares about, or reaching out to those experts who have a history of sharing good quality content. But I’d like to explain in detail five other important ingredients of a powerful roundup post. 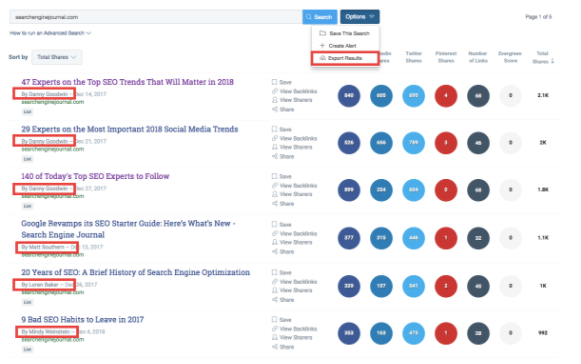 You can do this in BuzzSumo and Ahrefs Content Explorer by searching the most trending content in your niche. Or you can Google a search query ‘roundup + search term’ to find which topics are currently popular. I found a few really good examples of roundup posts in the digital marketing industry. They all showed an outstanding performance and created quite a buzz around them. 67 Experts Reveal Top Competitive Analysis Tools by Robbie Richards: This post aggregates information about all top competitive analysis tools you will ever find. How To Find Endless Content Ideas; Real-world Advice, Lazy Day Hacks, and Bonus Tips From Savvy Marketers by BuzzSumo: Despite its vexing page layout, this roundup posts contains a lot of really helpful and meaningful advice which isn’t something you find too often. 80+ Amazing Digital Marketing Tips & 20+ Slide Decks by Digital Olympus: This roundup serves as a perfect example of how you can revive an already existing content by shaping it into a different form. This post has also been very popular among its readers. Pro Tip: Don’t select broad topics that will bring you generic answers that are hard to be categorized. I once asked experts to share their advice on how to become a better a speaker and received more than 60 answers that covered various aspects of public speaking. It took me a couple of weeks to categorize those answers. The point of this story is that asking general questions might turn your research into a week long ordeal. Another process that can get extremely time consuming is copying and pasting the answers you received via email into a spreadsheet. Doing something like this repetitively will always result in a missing name or in confusing people’s answers. So don’t embarrass yourself. My advice here is to use survey forms like Google Forms that save your precious time by helping you collect answers in one place. If the simplicity of Google forms aren’t up to your standards and you wish to use something more visually-appealing, then I highly recommend using TypeForm. It’s not free, but it’s worth it. TypeForm allows you to design your own “Thank you” page where you can mention a special discount, or a certain type of give-away gift. This tactic promises to be very successful because you’ll be distributing your roundup post among industry experts. Word of mouth never fails! Of course, you can publish a never-ending list of experts with their answers without making any changes to it. But do you really think it’s such a good idea? Your users want to know the opinion of well-known, credible experts; not just anyone. Your readers won’t appreciate it if you waste their time sharing a random expert’s point of view. Also, if you care about the number of social shares, then you should show your users that your roundup post has some of the top-notch experts known to the online community. If you’re on a shoestring budget, this can be solved by putting a cover image with pictures of speakers involved in your article. But nothing beats a sleek and neat navigation within a lengthy article. For that, you’ll need a developer. To achieve a better presentation, it’s best to mention all experts at the very beginning of your post with their names and profile pictures nearby. Make every image and name clickable, so that a reader can get to the answer of a certain expert quicker. Besides that, don’t ever underestimate the power of coding. Your users will thank you for a good-looking template with an expert’s answer, his or her picture, social media profiles and, of course, a much desired answer. Here’s what I’m talking about — a roundup post by RankWatch discussing the Future of SEO. They even designed a graphic picture of each expert based on their real image. I think it’s a real work of art. Pro Tips: If you want to post the answers you received as soon as you get them, then get everything ready before you begin reaching out to experts. Otherwise, you’re going to get stuck because finding a right template and taking care of your post’s navigation aren’t last minute arrangements. You need to think this step very thoroughly. If you’re using WordPress, then you can purchase a template here. The same can be done when you use HTML, but you may need a developer to complete the installation, to add content inside the code, as well as uploading and deploy your project. If time is a super precious commodity for you, then a landing page builder can come to your rescue. Typically, it allows you to customize the look of your page by using a drag & drop builder. However, such tools aren’t free and, at times, can get pretty expensive. For instance, Unbounce will cost you $79 a month. I believe this option only works well for companies that have been previously using landing page builders. First of all, I would recommend to reach out to those experts who have established a solid online presence. People with few Twitter followers or LinkedIn connections won’t help you reach a broad audience. Also, don’t forget about your current brand ambassadors, fans or friends – they’re always happy to help you and will get the word out there. Research the names of experts who recently participated in the roundups. It’s safe to say that those people will be more interested in doing a roundup than those who don’t have such experience. Find people who are currently contributing to other blogs. They are in the process of building their own presence, and would unlikely turn down your offer or ignore your message. If you know blogs that accept guest posts, then you can collect the names of its contributors in a few clicks with the help of BuzzSumo. Create a list of the most prominent experts, like this one. The chances of them actually responding to you aren’t very high, but it doesn’t hurt to try, right? But still, don’t hold your hopes up to get all the answers you want from them. Contact users that are currently actively advocating in favor of your brand on social media channels. Present functionality of social media analytics doesn’t allow you to find these users right away. 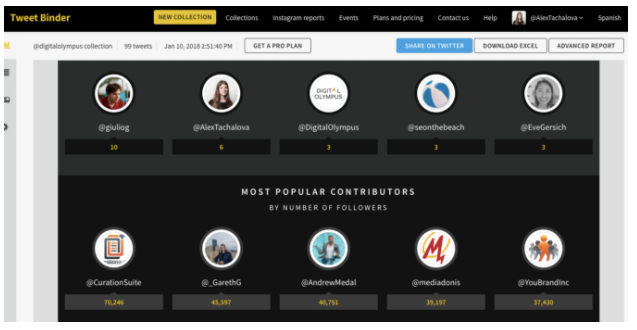 But luckily there are tools like TweetBinder that shows the most influential members of your Twitter community. If you want to find your brand advocates on other social media platforms, you are going to have to search for them manually by going through your likes and shares. An outreach process is a time consuming activity, so don’t expect to receive replies in an instant. Typically, if you do everything right, then the response rate shouldn’t be lower than 40%, but it definitely depends on the overall level of your brand’s visibility. Your industry’s current environment plays an important role in this case, too. 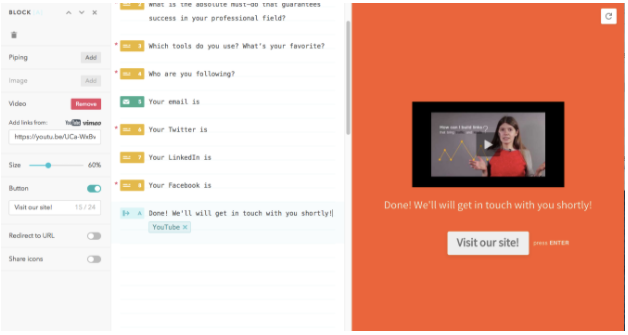 To give you a better picture, if you’re looking to get 50 answers, you need to contact at least 140 users. Connect with a person on LinkedIn. After he or she has accepted your request, send a message. What I love about LinkedIn is that it has the read receipts and typing indicators. Very helpful when you’re really trying to get someone’s attention. If a person didn’t accept your connection request on LinkedIn, switch to Twitter. In case those among your connects ignored your LinkedIn message, send them an email. We all check our inbox frequently. Send an email to those users who both haven’t added you to their connections on LinkedIn or replied on Twitter. If you haven’t heard back from people after you sent them a first email, you can follow up with the second email. But don’t send any more emails. You’re going to look either desperate or aggressive. Pro Tips: When connecting with people on LinkedIn, add a short message that explains why you decided to reach out. Mention that you’re working on a roundup article, and that you’d be glad to know their take on a certain subject. I’ve noticed that I’m more likely to add a person to my connections if they are explaining their motive in a brief message. Don’t use an expert’s obviously personal email when connecting on LinkedIn, unless the person you’re contacting is an independent consultant. 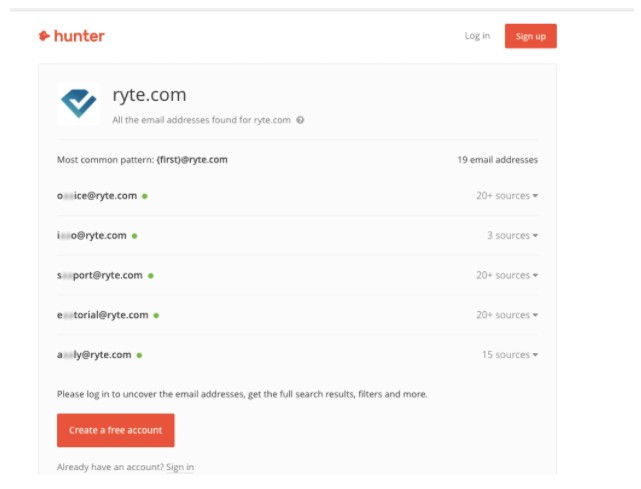 If you want to find an email address of a particular influencer, use Hunter.io. This tool has literally saved tons of hours for me. Don’t try to contact top-level experts if you haven’t previously mentioned their work. Strike up a conversation online by promoting their recent content via your personal or business social media account. This increases your chances of hearing back from them. The most common mistake of all content marketers is that they forget to prepare all promotional activities in advance. This badly impacts the performance of their campaign. Prepare all personalized images and social media posts for each expert involved in your roundup post. Share these content with experts. Create a couple of different images to promote this post on various social media channels. Have an alternative version at hand for each of your online platforms. For Facebook, I would suggest making a short video. This type of content is the most engaging as it attracts the most views. Find groups and communities where you can share your future roundup post. Facebook and LinkedIn are the best platforms for this approach. Find those groups in advance and draft several brief yet descriptive messages that will be relevant to those groups. Come up with a template for mass email that you’re going to send out to participating experts announcing the publication of your article. To maximize the efficiency of your content promotion you can try finding users who have recently shared similar content on Twitter. BuzzSumo will help you accomplish this task. Targeting a broader audience won’t hurt you, so consider running ads on Facebook. However, keep in mind that if you want to really promote your post, then all images should comply with Facebook guidelines. Another thing I recommend is to launch your online campaign targeting fans of your page, because they’re most likely to interact with your post. If you don’t want to stop there, you can also set up a Twitter paid campaign. Twitter is a little pricey, so it makes sense to target a very specific group of users, like the most influential followers of experts participating in your roundup post. Use Followerwonk to assist you in exporting followers of any user in one click. All five ingredients I talked about above are essential if you’re trying to build an abundant and engaging piece of content without spending a ridiculous amount of time on your part. Want to know the secret? This type of content works, regardless of how tedious your niche is. Ask for the experts’ take on a key issue and your engagement rate will surprise you! Published on 01/26/2018 by Alexandra Tachalova.